One of the prime benefits of a low carb diet is that it can reduce your dependency on diabetes medication. This reduces your exposure to side effects and, depending on which medication is involved, it can help prevent type 2 diabetes from progressing. In other words, a low-carb diet can prevent type 2 diabetes from getting worse and instead make things better. It’s also important to know what precautions to take regarding your medication before starting a low carb diet. Hypoglycemia may occur if you are on certain medications and have not have discussed with your doctor how to manage your doses before starting a low-carb diet. In this article we will talk about the possibility of reducing your dose or coming off medication. It is important to note that changing doses or coming off medication should only be done with the agreement of your doctor. Some medications aggressively lower blood glucose levels which could lead to hypoglycemia if you begin a low-carb diet. If you are on one or more of these medications, you will need to speak with your doctor about how to modify your medication before starting a low carb diet. The good news is that if going onto a low-carb diet allows you to reduce your dose of these medications this can benefit you in a number of ways. We will refer to these medications in the rest of the article as hypo-causing medications. 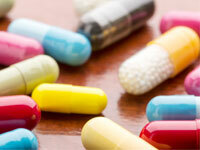 People with type 2 diabetes may be able to come off hypo-causing medications altogether. As well as eliminating the side effects of these medications this may also help some people to reverse the progression of their type 2 diabetes. If you are experiencing hypoglycemia on a low-carb diet you’ll need to either decrease your medication or up the amount of carbohydrate to prevent future hypos. Ideally, your medication will be reduced before you experience any hypos. This is another reason to speak to your doctor before starting the diet. Ensure you know how to treat hypos. A low-carb diet may also allow you to reduce your dose of, or come off, other types of diabetes medication. Once again, this must be agreed with your doctor. The benefits of reducing or coming off other medication is a lower risk or elimination of side effects. A low-carb diet can help with reducing blood pressure levels. Therefore, if you are taking blood pressure medication, you may find your blood pressure reduces on a low-carb diet. If this happens, your blood pressure medication may need to be reviewed by your doctor and some people may be advised to come off some medications. If you continue to take blood pressure medication on a low-carb diet, be aware of the symptoms of low blood pressure (hypotension). In general, if you have type 1 diabetes, you will need to keep taking insulin. There may be some exceptions such as if you have been recently diagnosed as an adult. It is important that you do not stop taking insulin unless your doctor has specifically instructed you to do so. If you begin a low-carb diet, your insulin doses will likely need some changes. Seek advice from your diabetes team about how to manage your insulin doses before starting a low-carb diet.